Thursday, October 13, 2016 - Orlando, Fla. - The Preeclampsia Foundation announced this evening that preeclampsia survivor Elizabeth Papandreas is the newest Face for the KROMA Makeup Promise Me Fall Collection. The Central Florida-based professional makeup company announced its new “Promise Me Fall” collection at the Preeclampsia Foundation’s Patient Advocates Summit. The “Promise Me Fall” collection is a continuation of KROMA Makeup’s commitment to raise awareness of preeclampsia, a potentially life-threatening hypertensive disorder of pregnancy that affects approximately five to eight percent of all pregnancies in the United States. Papandreas’ story will be featured in KROMA® marketing and Preeclampsia Foundation communications. Papandreas experienced HELLP syndrome, a life-threatening variant of preeclampsia that affects the liver and platelets, during her first pregnancy. Her healthcare providers placed Papandreas into an induced coma and provided multiple blood transfusions to save her life. “October 16 is the seventh anniversary of my first experience with HELLP syndrome, so it was incredibly timely and quite the honor to become the next Face of KROMA at the Preeclampsia Foundation’s Patient Advocates Summit this weekend,” said Papandreas. She then went on to have a second pregnancy in 2012, which was also affected by preeclampsia. Thanks to vigilant care, the Papandreas family of four is happy and healthy today, but Papandreas recognizes that things could have gone very differently. The “Promise Me Fall” collection includes a variety of eyeshadow colors, lipgloss, lipliner and lipstick shades and is available for purchase at www.kromamakeup.com.Ten percent of all sales from the “Promise Me Fall” collection will benefit the Preeclampsia Foundation. 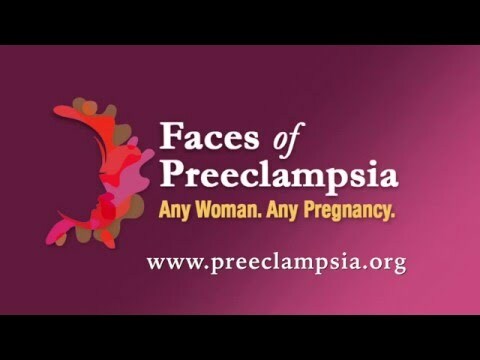 How Has Preeclampsia Changed YOUR Life?